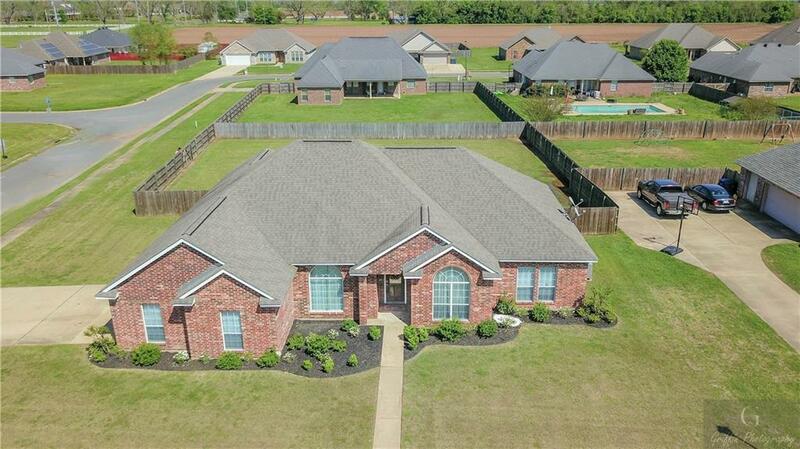 Gorgeous 4 bedroom 2.5 bathroom newer built home in the prestigious North Williams Place Subdivision. This home is on a large corner lot completely fenced in! The kitchen features all stainless steel appliances and plenty of cabinet space with an island in the middle. There is a breakfast area and a formal dining area to meet all your dinner party needs. The living room has tray ceilings and recess lighting over looking the fireplace. The rear has a good size covered patio ideal for entertaining your guests over looking an enormous yard. Homes like this one rarely come up and don't last long! Schedule your appointment today!